Read about the top things to see and do whilst staying at Kelling Heath this summer. Not every holiday park can boast it has its own railway halt! Read about the North Norfolk Steam Railway. With temperatures rising, the ponds at Kelling Heath are really beginning to shine. 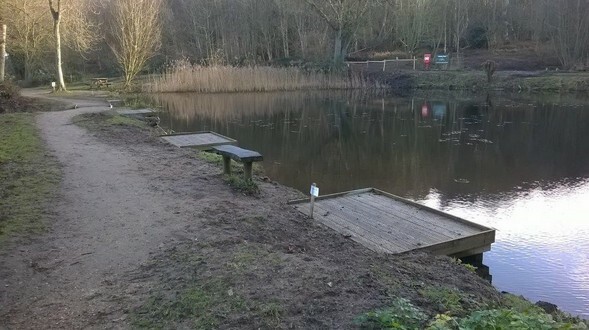 Read how the ponds are looking now following the extensive winter work. Spring in North Norfolk. A special time of year with lots to see and do. Learn what the Countryside Team have been up to this March and what to expect if you are visiting us this month. Kelling Heath is the perfect base for a golfing holiday Whether you are a golfing pro, a keen amateur or new to the sport; you will know it did not take long for golf to take over your life and even your holidays. During the winter of 2016 & 2017 the Countryside Team have been very busy. Read what they have been up to below.